WELCOME TO PAT’S CAFE IN SAN FRANCISCO! 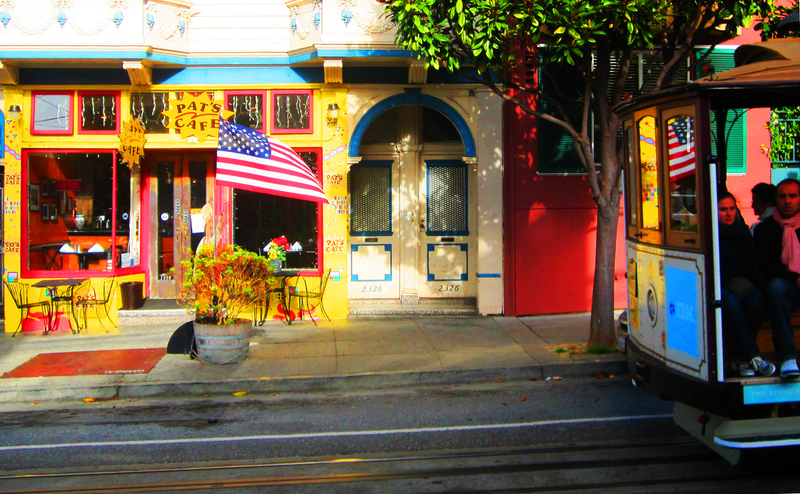 Pat’s Cafe is a charming little North Beach restaurant in the heart of San Francisco. We serve awesome healthy, hearty, home-style AMERICAN food for breakfast and lunch (brunch served on Saturdays and Sundays). We have the best breakfast around, served in a pleasant eclectic environment. You’ll find a large variety of omelets and egg dishes, pancakes, waffles etc. as well as our world famous specials on our weekend brunch menu, all cooked carefully to order.